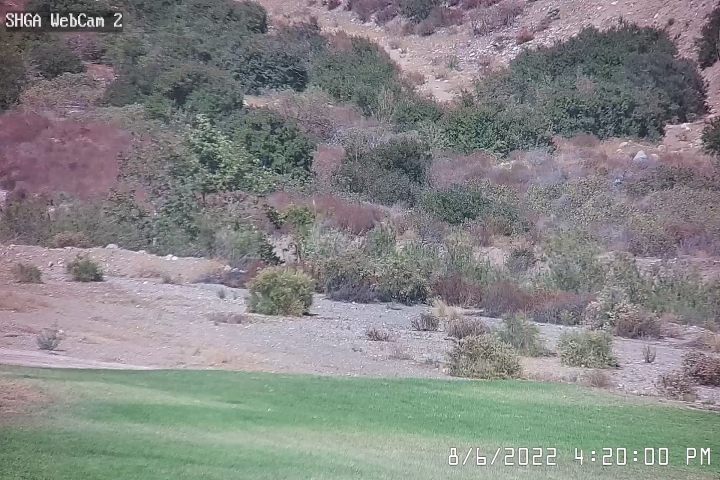 Annually the Sylmar Hang Gliding Association holds the Dahlsten Cup competition to recognize the SHGA pilots that perform well within their chosen category. The SHGA has been holding this competiton since 1987 and it has been held in many different formats. Usually the contest is held in the fall when conditions and convergences are more likely. However the contest has been postponed (usually due to inclement weather) as long as a year. The start of the contest was likely a result of the competition that Rich Grigsby organized, a cross-country competition with eight pylons, each one having a large symbol which the pilots had to write down, after flying over to identify the symbol, and then land at Kagel in as little time as possible. Later the name of the contest was adopted as the Dahlsten Cup in honor of Karl and Mary Dahlsten. The format has changed over the years and at times adopted a team challenge and rookie paired with a pro or advanced pilot. The idea being that the more experineced pilot would show the younger rookie how to fly cross country within the confines of the Kagel flying area. For several years now the format has required GPS's (replacing the previous symbols on the ground). The competition is now scored using software and downloaded track logs from the GPS. The format continues to promote safety and fun with a hint of pilot rivalry. By tradition, the Cup winner may keep the Dahlsten Cup trophy until the next contest, typically a year later. In September, 2009, the trophy was refurbished by David Froschauer. The cup was re-plated, the walnut base was enlarged, and the nameplates were expanded to provide space for many more years. To reduce the chance of loss, only full club members may take the Dahlsten Cup trophy from SHGA property. All pilots must have a current USHPA rating card on their person and must either be a SHGA club member in good standing (meaning your dues are paid and up to date), or have paid the SHGA day use fee. Open Class - open to all hang glider pilots that hold a H3 or above. Rigid wing pilots will be handicapped. Sport Class - open to all pilots flying a king posted glider or paraglider. Pilots must be a H3 or above. 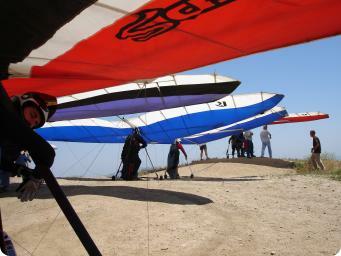 Fun Class - open to all pilots flying single surface gliders and paragliders. H3 pilots or above, H2 pilots can fly but MUST HAVE an instructor sign off or prior permission to fly in the comp. Required Equipment - Helmet, functioning radio, GPS, parachute, cell phone. Open Class - Usually will fly a triangle or lap race consisting of an exit start at the far end of the course and navigate the task hitting all turnpoints in the order specified. Turnpoint radius will be assigned the day of the task and will either be 400m or 200m depending on task and course length. The task comittee can chose a regatta start or can elect to use start intervals (normally intervals are used). Intervals will normally be 10 to 15 minutes apart with 4 or 5 intervals depending on the time between intervals. Fastest elapsed time wins. You must complete the course to receive arrival points otherwise only distance points will be awarded. Sport Class - Task will normally be run like the open class with the course being shorter. The start cylinder will usually be at the opposite end of the open class task. Fun Class - Task normally consists of accumulation of turnpoints. All turnpoints are worth the same. Turnpoints may only be scored once. Getting the most turnpoints in the shortest time wins.